Kids and their choices are hard to understand. Girls are more fond of princesses and fairy tales & boys with cars, jungles and space ships but one thing is for sure, they both like colorful and cartoon animation. 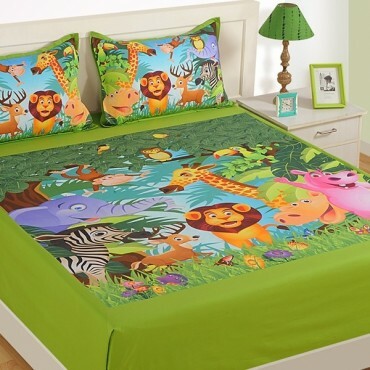 Keeping this in mind Swayam introduces a wide range of kid’s printed bed sheets. 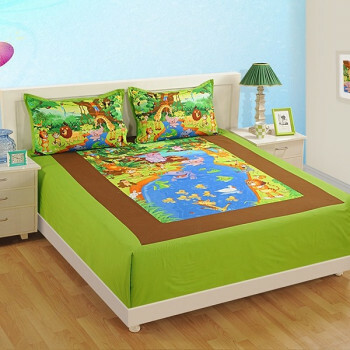 They are designed with interesting color combination and alluring cartoon design. They make the best platform for your children where they can spend their time playing with toys. Bring their imaginations to life by bringing their desires closer to them. 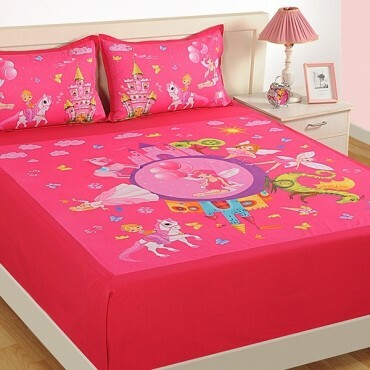 The bed covers are basically printed according to the themes that children nowadays are most attracted to. 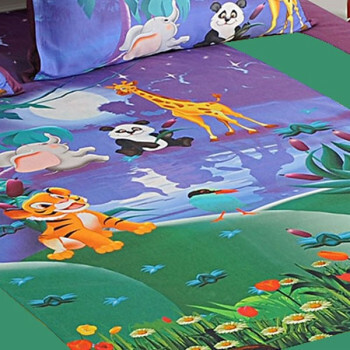 Buy kids double bed sheets from our online shopping portal www.swayamindia.com and see the happiness in the eye of your children. 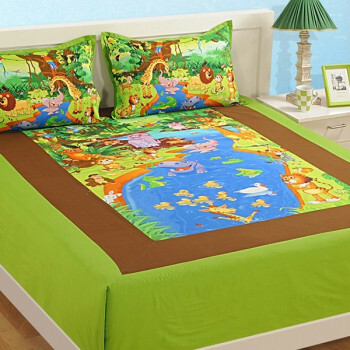 The texture of these bed sheets is perfectly ideal for your kids as they are made from premium grade cotton. They are woven with intricacy which adds high thread count in the fabric. The seamless texture is safe for the children to spend their night in as they are skin friendly and free from allergens. Being made from cotton, they allow free circulation of air through the fabric which helps to keep the surface cool during summers and warm during winters. Your children will never suffer from rashes or irritation instead they will be pampered all night long. 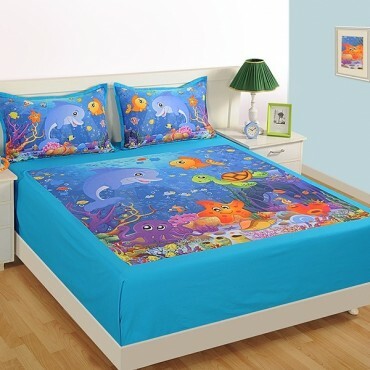 Your kid’s room will showcase a colorful eye-catching appearance in the presence of these kid’s printed bed sheets. 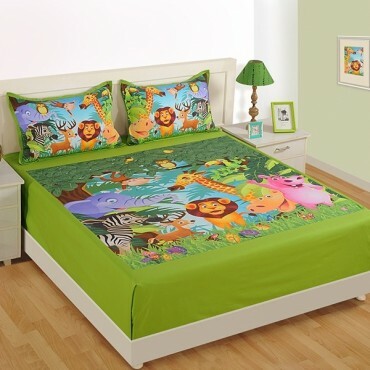 You can even allow them to eat on their bed for now on as these bed sheets are easy to wash. They are washable in a machine as they are strong and colorfast in nature. You will nave get a hint of color fades even after repeated washing. 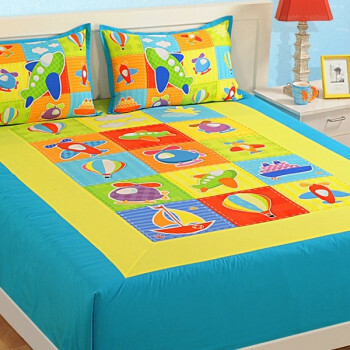 Buy kids double bed sheets from our online shopping portal www.swayamindia.com and show your love for your children. 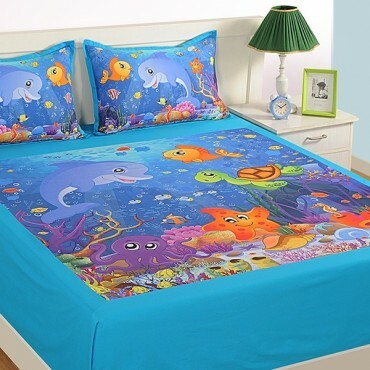 Each bed sheet is offered with 2 pillow covers as a complete bed set.